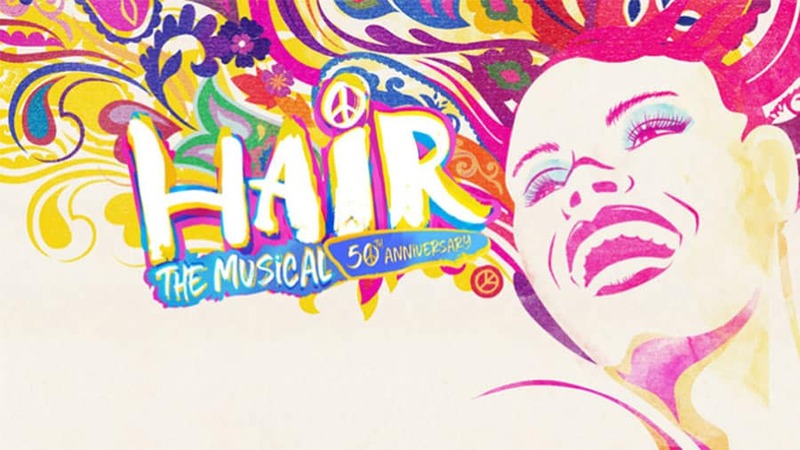 Hair UK Tour - 50th Anniversary Tour - Book Now! 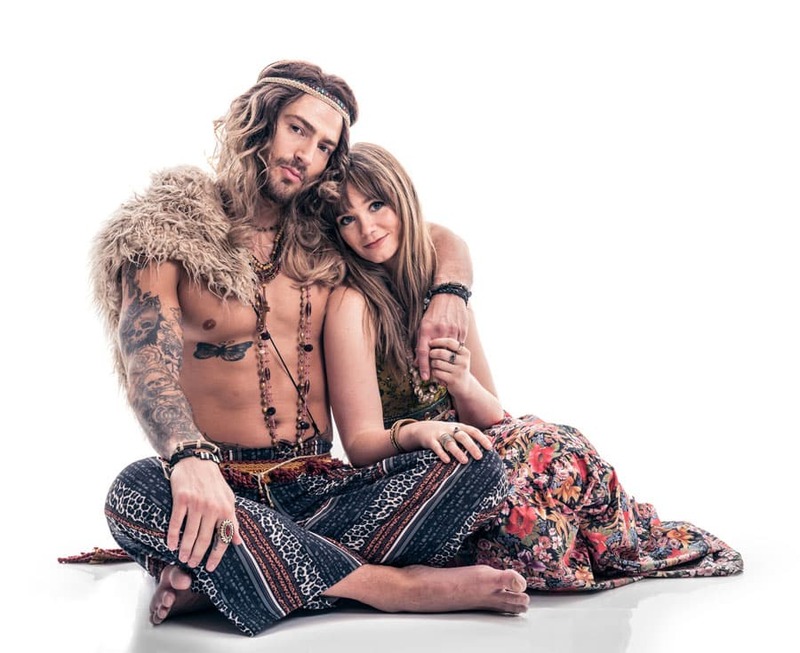 Hair UK Tour – 50th Anniversary Tour – Book Now! Following acclaimed seasons in London and Manchester, the Hair UK Tour will celebrate the show’s 50th Anniversary across the country. 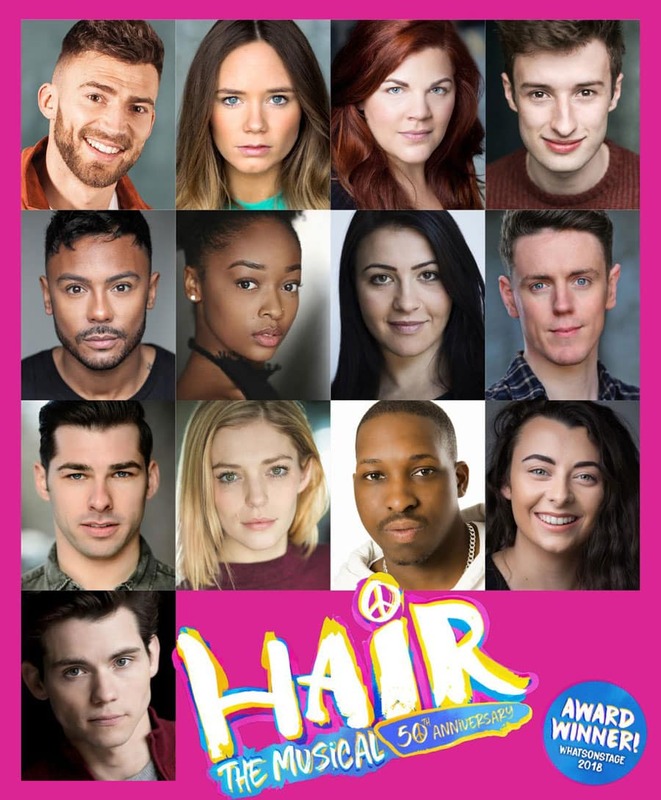 Leading the cast in this revolutionary, Grammy award-winning musical is: Dancing on Ice’s 2018 champion Jake Quickenden as Berger, Hollyoaks’ Daisy Wood-Davis as Sheila and X Factor 2011 finalist Marcus Collins as Hud. The cast is completed by: Alison Arnopp, Tom Bales, Louise Francis, Natalie Green, David Heywood, Bradley Judge, Aiesha Pease, Laura Sillett, Spin, Kelly Sweeney and Paul Wilkins. Hair is written by Gerome Ragni (book and lyrics), James Rado (book and lyrics) and Galt MacDermot (music). The Hair Uk Tour – 50th anniversary production is directed by Jonathan O’Boyle (Pippin, Rain Man, Aspects Of Love), who is reunited with the brilliant creative team from Hope Mill Theatre: Gareth Bretherton (Musical Director), William Whelton (Choreographer), Maeve Black (Designer), Ben M Rogers (Lighting Designer), Calum Robinson (Sound Designer) and producers Katy Lipson for Aria Entertainment, Joseph Houston & William Whelton for Hope Mill Theatre, Ollie Rosenblatt for Senbla, and associate producer Guy James. The production will be cast by the previous BBC Head of Casting Jane Deitch, and will be announced in due course.